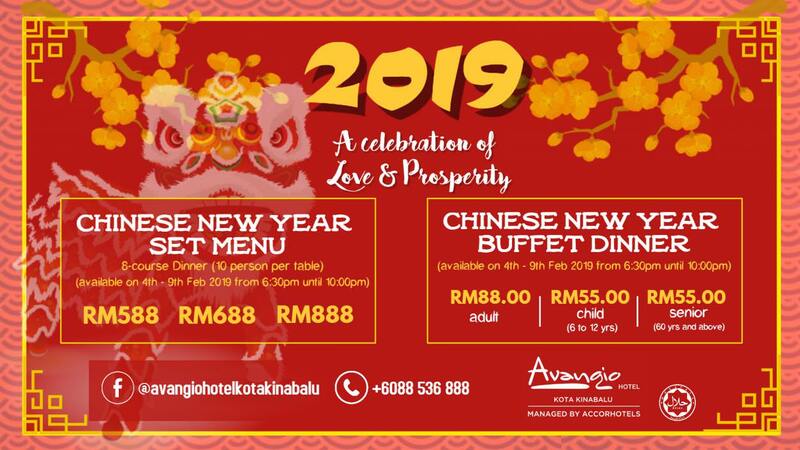 Celebrate the Year of the Earth Boar by celebrating with an irresisble spread of Chinese delicacies specially prepared for this auspicious occasion at Avangio Hotel Kota Kinabalu Managed by AccorHotels. 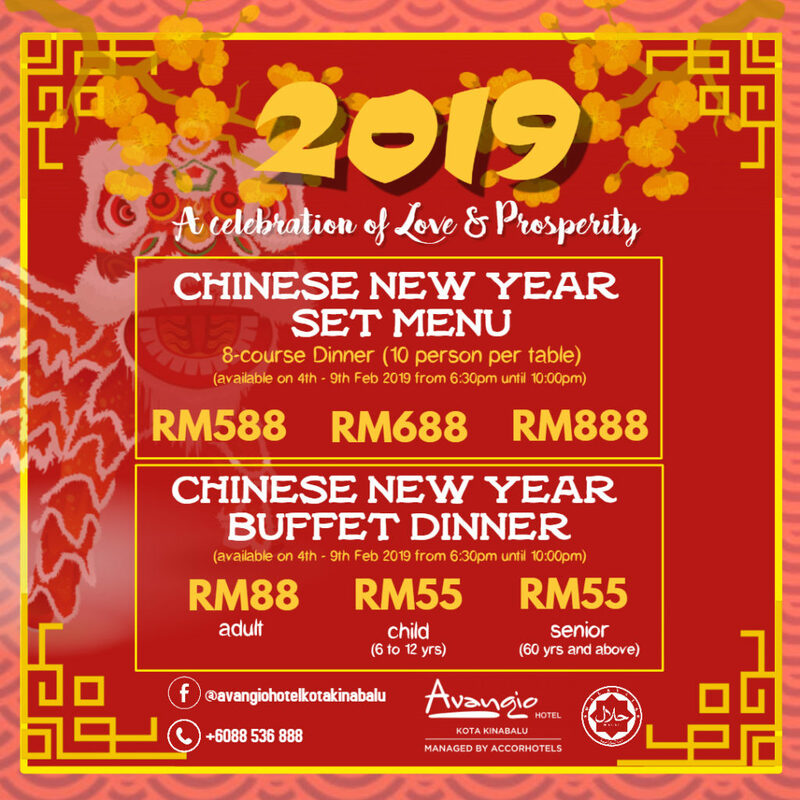 Come and join us in ushering in the Year of the Earth Boar with family and friends by celebrating with an irresisble spread of Chinese delicacies specially prepared for this auspicious occasion. Avangio Hotel Kota Kinabalu Managed by AccorHotels, is a 103 rooms four star hotel in the heart of Kolombong’s prominent industrial corridors. The hotel exudes modern luxury and captures the essence of the surrounding Sabah landscape. Featuring an all-day-dining restaurant, lounge and bar, pub and pool bar equipped with 3 meeting rooms, business centre and a ballroom, the hotel is a prime destination for both business and leisure. Recreational facilities include a fitness centre, outdoor swimming and childrens wading pool. Free high speed Wi-Fi is available in all rooms and public areas.